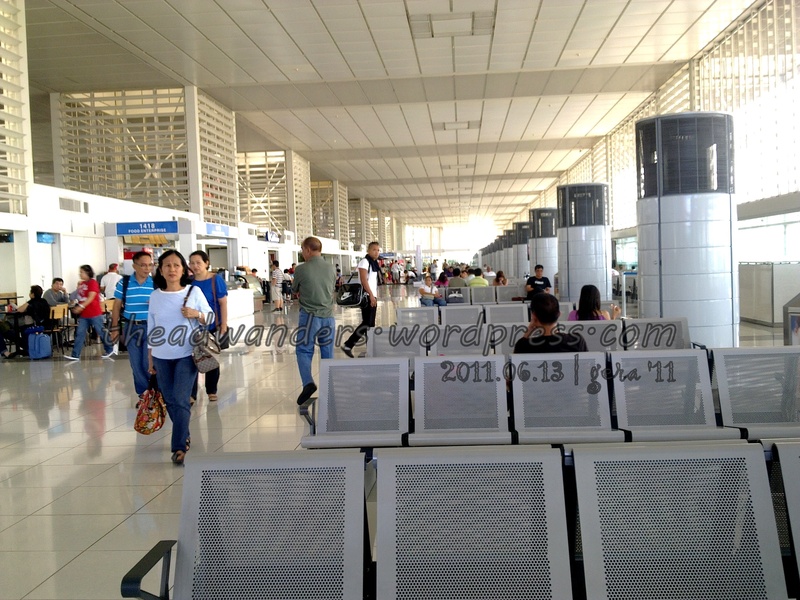 Let’s just say this is the part 2 of my earlier blog on arriving at Iloilo International Airport. 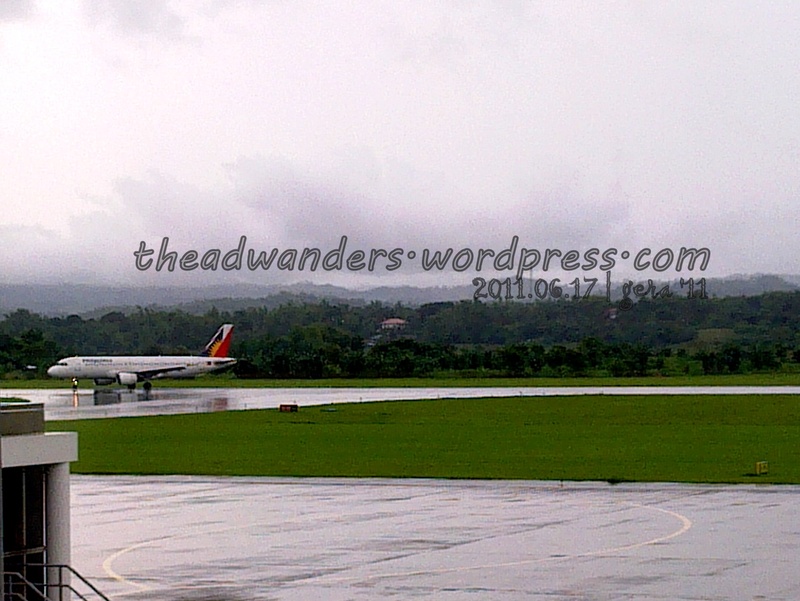 As mentioned, we went to Iloilo on the 13th and left for Manila on the 17th. 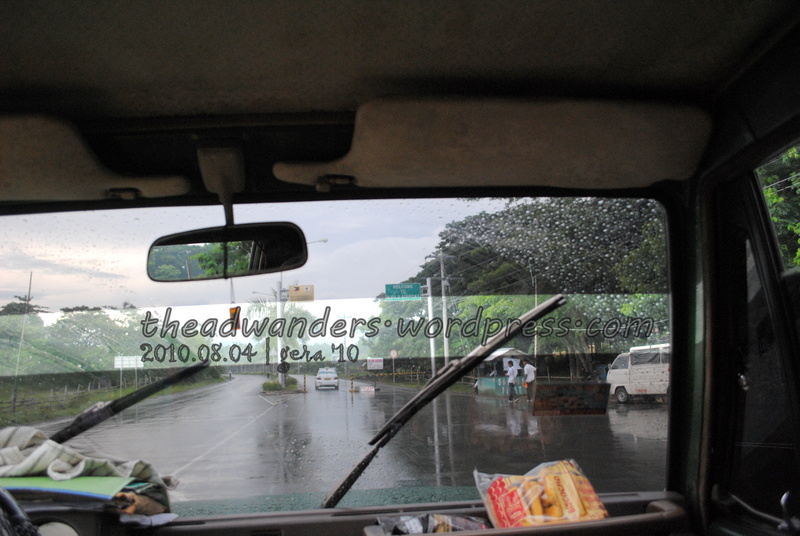 It wasn’t rainy when we went there but it was raining like crazy when we headed back to Manila. As I explained earlier, Iloilo is a Climate Type III area with prolonged rainy season (actually, almost throughout the year!) so don’t forget your umbrellas! Anyway, this airport is, AFAIK, currently serving domestic flights to and fro Manila via Philippine Airlines (PAL), Cebu Pacific (Cebu Pac), AirPhil Express (AirPhil) and ZestAir. 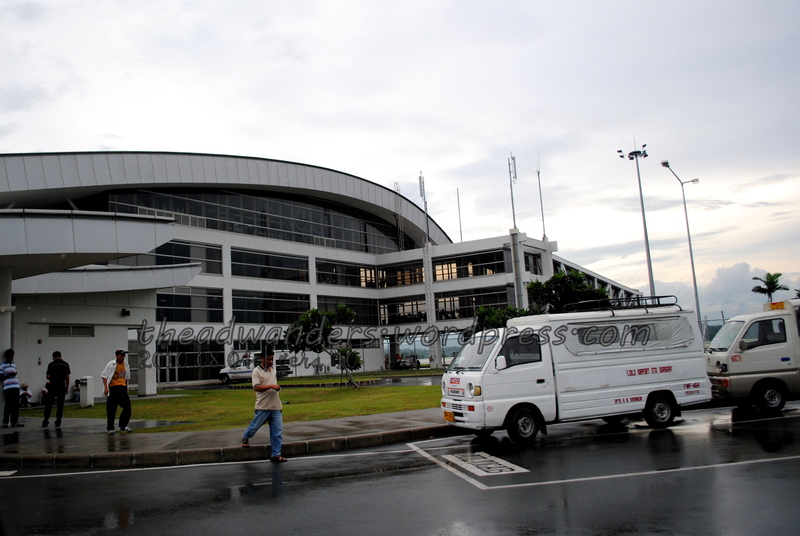 PAL and AirPhil connects Iloilo to Cebu while CebuPac connects to Cebu and Davao. I believe it’s called an international airport because it is now open (read: passed the standards and all) for international flights. I could be wrong but I read at GigsIlonggo that Cebu Pacific and Korean Airlines will open the skies for flights to Hong Kong and Korea, respectively. If you are running out of time since you are supposed to be in the airport at least two hours before your flight (though check-in counters close only at 45minutes before the flight), you can do pasalubong shopping at the airport itself, just before you get in the boarding area. Of course it’s more expensive so if you have time, do it in the city. Again, back to the road (sorry, sorry). 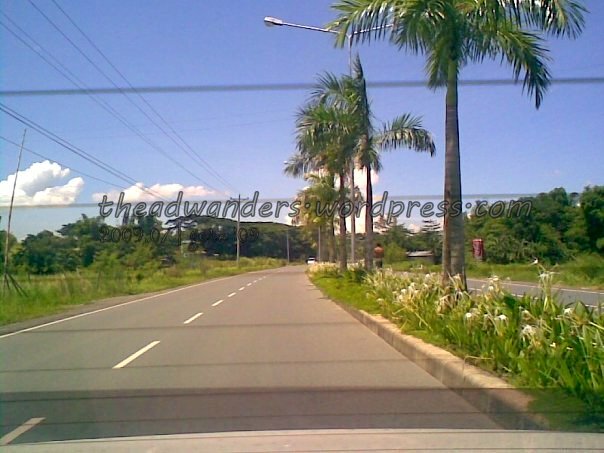 It’s probably 5-10 minutes from the time you pass the “Welcome to Iloilo Airport” sign (top right of the pic) to the airport itself. It’s pretty much a perfectly paved road with palm trees lining the center island. This reminds me so much of Elbi. 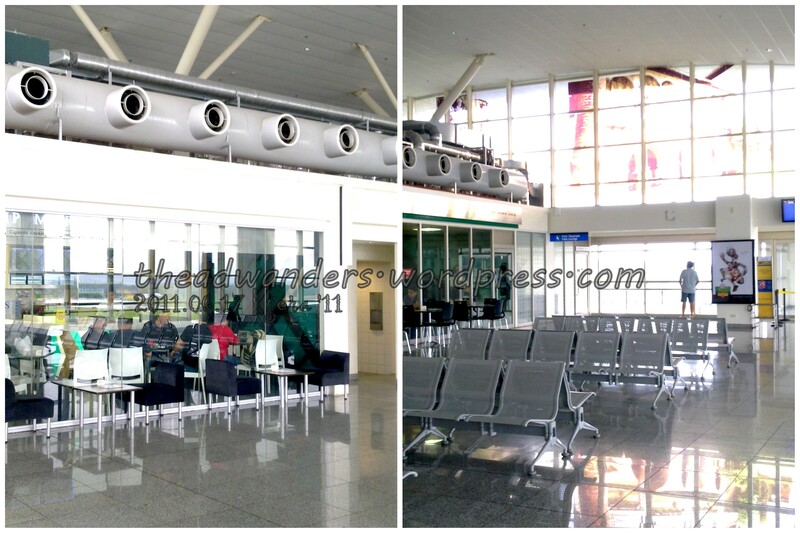 I also mentioned earlier that Iloilo International Airport is on top of my list when it comes to provincial airports. It’s quite modern-ish, probably because it’s still sort of new, operating for just four years. 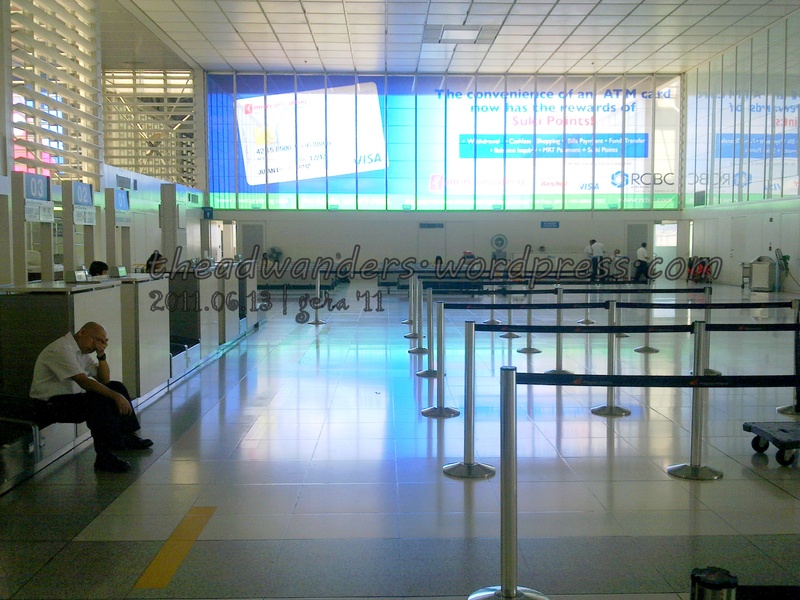 The check-in counter area is quite smaller than that of Terminal 2. But again, as I explained in my NAIA Terminal 2 post, only PAL is operating there while four airlines have to operate here in Iloilo. 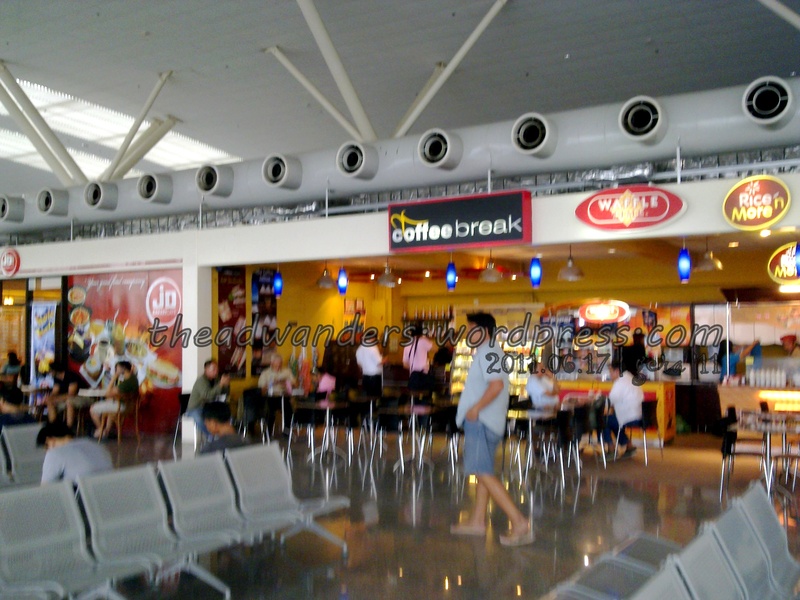 After checking-in, you’ll need to go to the second level and pay for the terminal fee of P200, which is the same as in the NAIA 1, 2, 3 and MIA, Cebu and Davao Airports (I don’t know where else). Before another baggage scan (the first one before entering the airport), your boarding passes will be checked along with the “look weighing” of your hand-carried items. The security guard checking for hand-carried baggage is quite strict when it comes to the “7kg only” rule so be careful on how your baggage looks even without weighing it (a weighing scale is available before the check-in and before the boarding area) especially if you have a no-baggage ticket. He warned me to keep carry-on stuff to a minimum next time (I have a laptop backpack, which is allowed beyond the 7kg, and two plastics of pasalubong, one of which has a pasalubong box inside from Panaderia de Iloilo courtesy of the ever hospitable RIO 6 staff). After, maybe considering, that most of my stuff are food which is not usually checked-in anyway (except if in boxes), he put a hand-carry tag to the bag and big plastic and then let me in. As I’ve said, I like this airport as it has a modern-ish feel. 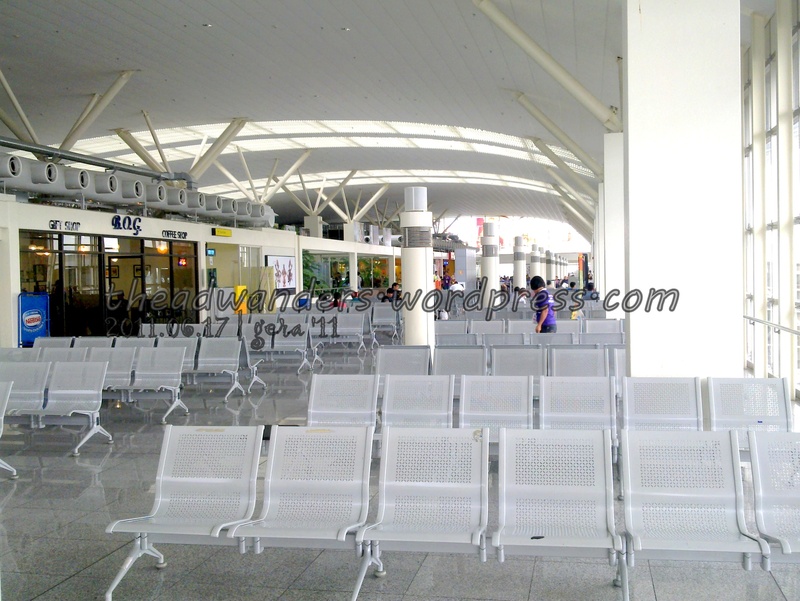 Like the Terminal 2 Boarding area, it’s chairs are quite basic but sturdy. The difference between these two gray seats though is that Iloilo’s come at six-per-row instead of five. Also, these are curved in some way which I think is good for sitting but not for sleeping like in NAIA 2. Massage Area – I’ve never had it here but my two Japanese bosses say it’s quite good. Sorry, I forgot to ask for the price. 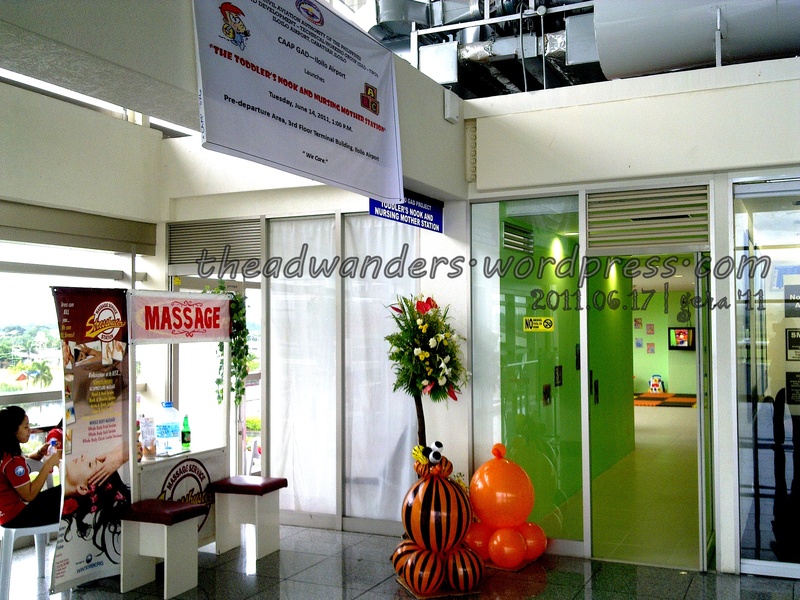 Toddler’s Nook and Nursing Mothers Station – this, I believe, is a joint project of the Iloilo City government and the airport. Sen. Pia Cayetano, a strong advocate of maternal and child health among other things, will definitely be happy with this one. JD Bakery – I think this one is quite popular as there are also branches of this outside the airport. You can find sandwiches, pasta, meals as well as breads and cakes. Coffee Break/Waffle Time/Rice and More – three kiosks in one area. Coffee Break has coffee, pasta and drinks. Prices are quite steep though. But, you can access their wifi service if you buy something more than P100. Good deal?! Waffles, like the one found in Manila streets, are found in Waffle Time together with coffee(?) and drinks. Then, Rice and More are mostly meals and drinks in those fried noodles cups in the streets. Never tried though. And then, there’s the smoking lounge which Sen. Pia would totally hate. Especially since there are two! One is sponsored by Philip Morris (at gate 3) while the other is by Marlboro (gate 5). Beyond that is the business class lounge, which I think is for PAL. So after we’ve ran down the stalls, let’s get into the other features. There are four LCD TV’s, two in each section. However, I was confused if all plays regular TV shows as it seemed that the two (one in each section) are meant for playing ads (these were not on at the time). As bonus though if you would be watching these is that the stand (or table or holder) doubles as a cellphone charging area. You know, like in Burger King or maybe 7-11. But this one, you don’t have to pay for. And then, there are four boarding gates. Don’t expect to have Gate 1 or 2 on your boarding passes though as they are non-existent. Yes, you read right. I asked the janitor where boarding gates 1 and 2 because I only saw gates 3-6. I thought it’s for international flights or something like that and it’s in another section. But, he said, it’s just the way it is. Anyway, I believe the boarding gates are assigned per airline. 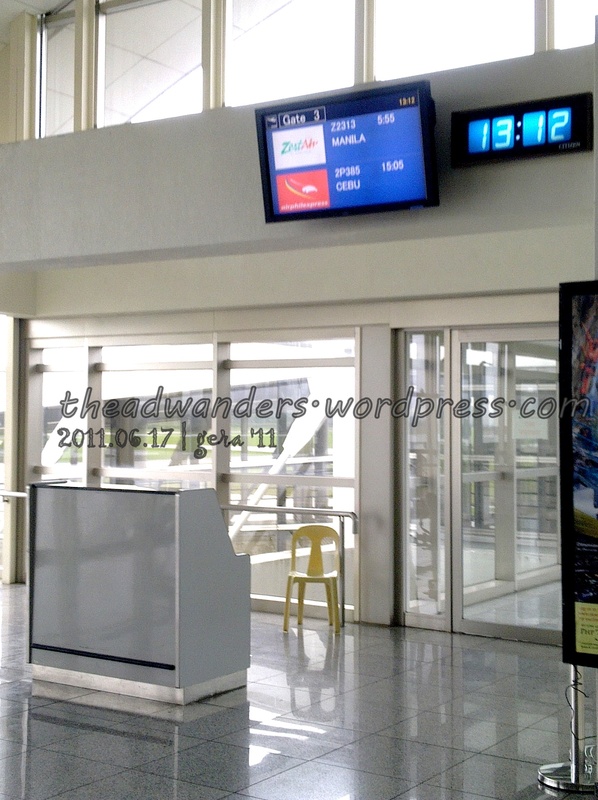 Gate 3 is for ZestAir and AirPhil; Gate 4 is for PAL; Gate 5 is for all airlines (assumption as there was no clear sign) and Gate 6 (bus gate) is for CebuPac. 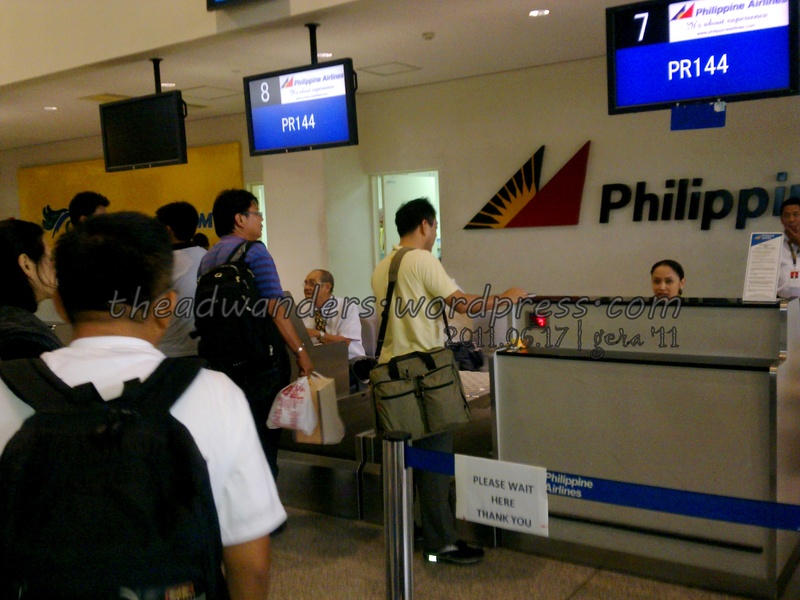 You might be wondering why it’s AirPhil and ZestAir has to share boarding gates while PAL has its own plus a business class lounge and why does CebuPac almost always use a bus gate. 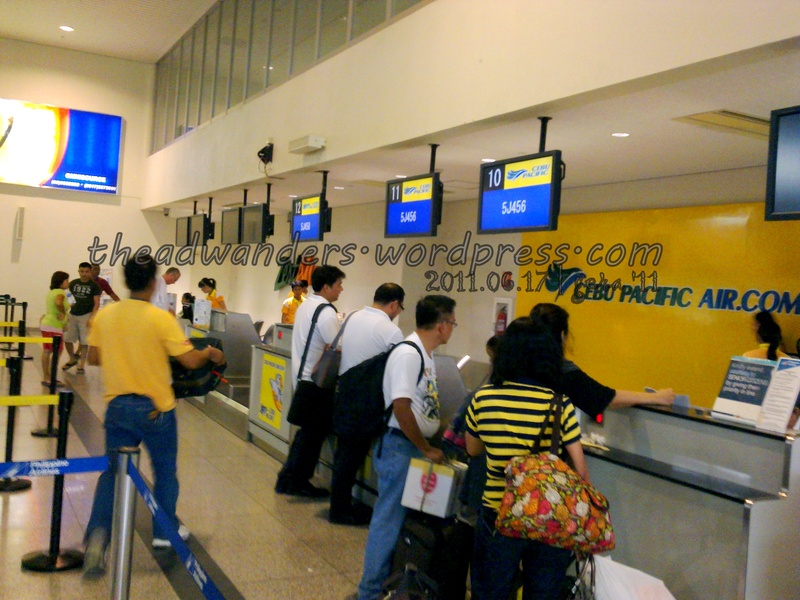 Well, I believe the two airlines share Gate 3 because they don’t have as much flights as PAL and CebuPac. Second, PAL probably pays the airport more than the other airlines to have it’s business lounge. And third, as told to my by a frequent flyer from Iloilo who asked the same question to CebuPac staff, they are using the bus gates and thus the stairs because they are cutting on the cost of renting the airport bridge which is charged for every thirty minutes. So, I guess CebuPac flyers shouldn’t complain that much (like I used to) about having to take the bus and the stairs considering that the fare is lower than other using airport bridges. Anyway, after much wandering and a few chitchats with my colleagues (ehem! ), our plane has arrived from Manila and we boarded soon enough. I hope this post has helped you in some way. Sorry if I am not very mindful of time, distance and fare details. I’ll try to be more se next time. So for now, happy wandering! Arrived and departed on time! Hi. I’m sorry I only got to see this now. I hope your son got his pack back though!